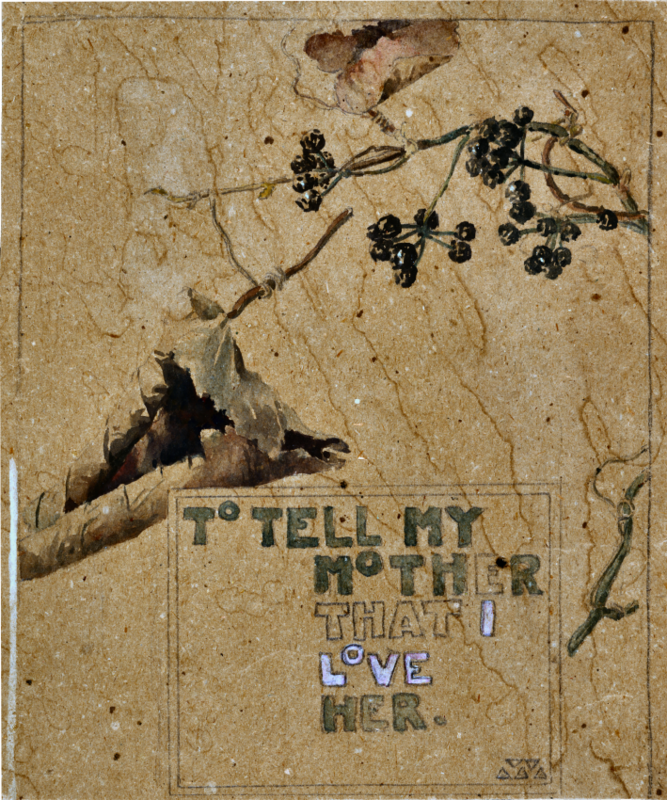 RSW- Artwork page, "To Tell Mother I love Her"
This work by Woodward sometime around his tragic accident, demonstrates his love for illuminations and his mother. See also the The Love Leaf book by Woodward. Woodward made this card for his mother. It was given as part of a collection of papers, photographs and other items given to the Smithsonian Museum, upon his death in 1957 and is found in their collection. 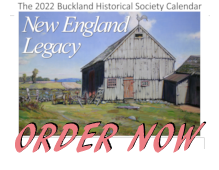 While the actual date is unknown, we believe it was created around 1907 when Woodward was 22 years old and beginning to recover from his accident. We feel it was likely made the same year as another early work by Woodward, "The Love Leaf" as both use the same 5 triangle symbol forming a trapezoid found in the lower right corner. We know of no other instances where Woodward used this symbol. 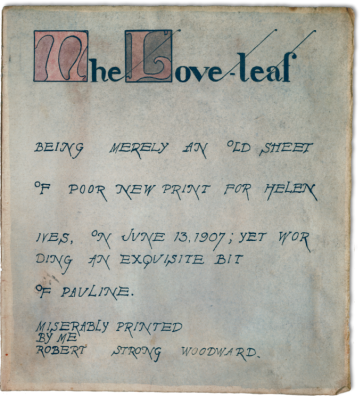 The Love Leaf is a short, self "printed" bound book of poetry, also found in the Smithsonian Museum, collection of papers. Dedicated to, what we believe may be a childhood friend, Helen Ives. Woodward signs it, "Miserably Printed By Me Robert Strong Woodward," and is dated, June 13, 1907, just over 9 months after his tragic accident. The book was bound using leather strapping and contains another sketched work of art signed and dated 1903. 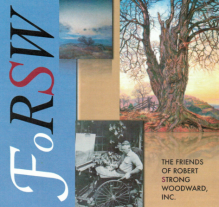 We do not know the significance of the symbol used by Woodward other than it could simply be a reflection of the profusion of emotions he must be feeling in the period of time immediately following his accident in 1906.